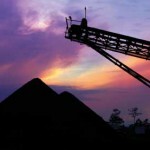 Mach Energy has entered 2019 as Australia’s newest coal producer after reaching production at the Mount Pleasant project in the Hunter Valley, New South Wales in late December. CIMIC-owned Thiess has secured a $1.2 billion mining services contract at the Mt Arthur coal operation in the Hunter Valley. 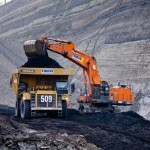 Yancoal’s acquisition of Rio Tinto’s Coal & Allied business unit in New South Wales last year has paid off for the company. New Hope Corporation has made a binding commitment with Wesfarmers to double its interest in the Bengalla joint venture (JV) for $860 million. Yancoal hopes to redeploy the majority its 205-strong workforce at the Austar coal mine after today starting a process to halt operations at the New South Wales site. Mining companies have focused on developing a more positive image for the industry in recent years, Deloitte’s Ian Sanders tells Australian Mining. Rail operator Aurizon has received a newly-built batch of coal wagons at the Port of Newcastle in New South Wales. FLSmidth’s service exchange program has enabled a leading open cut mine in the Hunter Valley to reduce the potential lead time for a replacement fine coal centrifuge from eight weeks to just 48 hours. Glencore has delivered a $140 million increase to Thiess’ coal mining services contract at the Mt Owen mine in the Hunter Valley of New South Wales. Thiess has won a $185 million contract to provide additional mining services for BHP at the Mt Arthur coal operation in the Hunter Valley of New South Wales. Fenner Dunlop’s redesigned rockbox transfer system and ongoing conveyor modifications at Yancoal Australia’s Ashton Coal underground mine are improving conveyor availability, reducing costs and minimising the potential for shutdowns usually associated with mining a narrow seam. 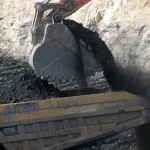 Australian Pacific Coal has lodged an application to modify the approval to restart underground mining at the Dartbrook coal mine in New South Wales. Kal Tire’s Ultra Repair is a revolutionary service for Australian miners that revives damaged ultra-class tyres otherwise destined for the scrap heap. FLSmidth starts 2018 with a new state-of-the-art service centre that sets a high standard for the company in the Hunter Valley of New South Wales. FLSmidth has confirmed it will continue to design and manufacture its range of woven-wire screen media for the mineral processing, construction and aggregate industries in Australia. A death that occurred yesterday at an open cut coal mine in the Hunter Valley, New South Wales is currently being investigated by local government.